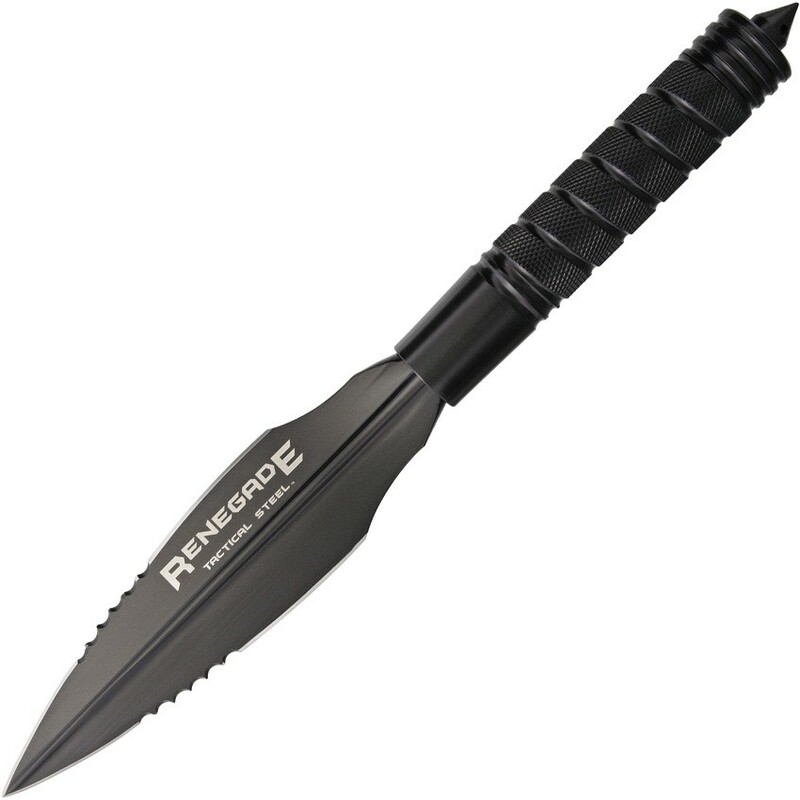 Renegades Warrior Spear is designed for one thing, Survival. 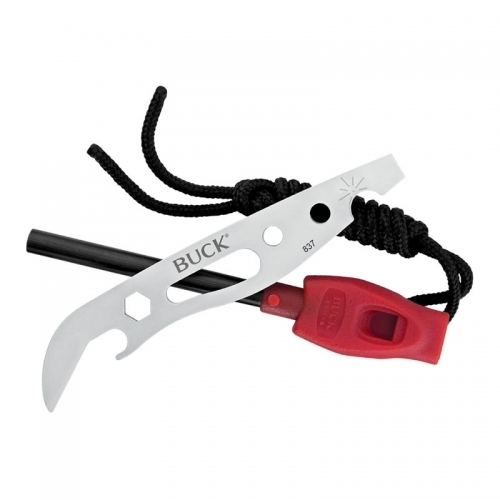 This heavy duty survival tool can be used as a knife, a saw, an axe and of course can be attached to a wood shaft and used as a spear. Hidden in the handle is a first aid and survival packet and a compass. The spring and the first aid kit in the handle can be removed in order to turn this spear point into a full spear for hunting. 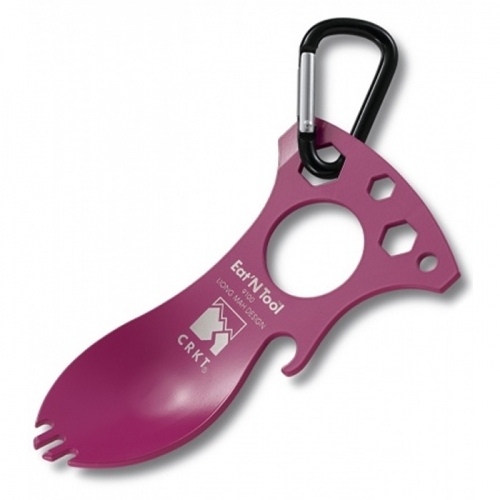 This item comes with a fitted nylon sheath. RT 131: WARRIOR SPEAR Blade length: 6.5 in. 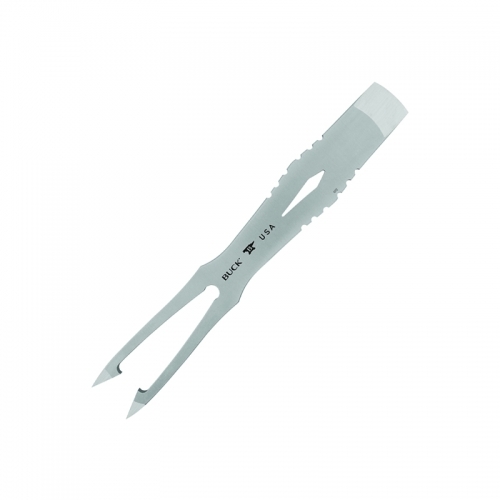 Overall length 14.5 in. 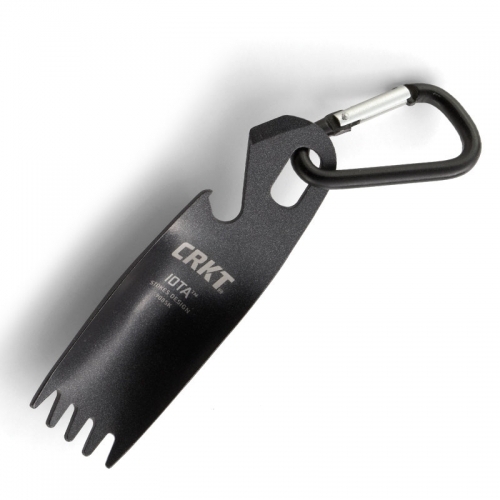 Steel 2CR13 stainless Reinforce nylon sheath. Handle: aluminum.